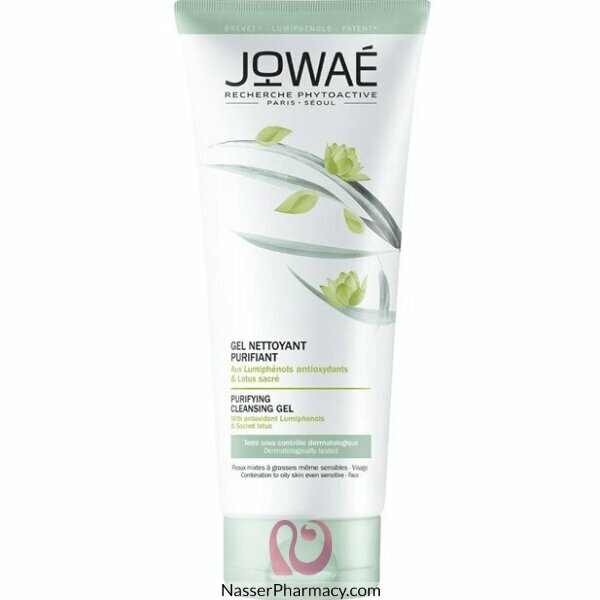 Jowaé Purifying Cleansing Gel 200ml with antioxidant lumiphenols and sacred lotus cleanses and purifies oily skin, even sensitive skin. This gel cleanses gently, removes excess sebum and improves skin texture. The skin is cleared of all its impurities, and becomes clear and luminous.